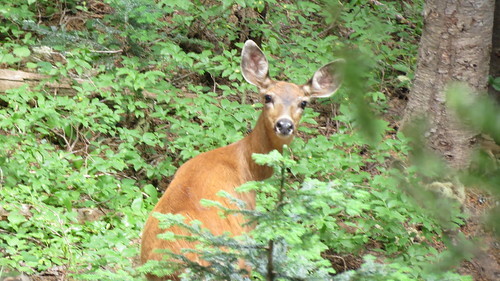 I love hunting deer, with my camera. I surprised this beauty on a trip to Mt. Rainier National Park several years ago. Donkeys are cool as well. This trio is on a ranch in western Oklahoma. Cattlemen like donkeys because they protect cattle from coyotes. They hate coyotes. They like treats though. An extra “D” is the drilling rig in the background. Its drilling into the Colony Wash formation. Yep, they fracked the well. 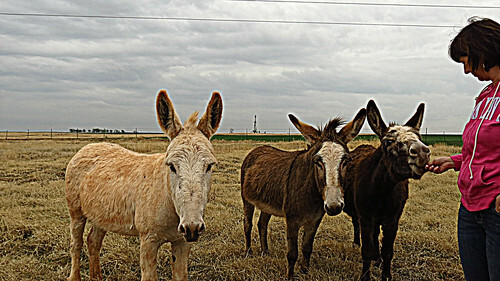 All the donkeys survived the fracking. The last D is Doodlebugger. Doodlebuggers are earth physicists who do the geophysical measurements to find formations deep in the earth that might have oil and gas. 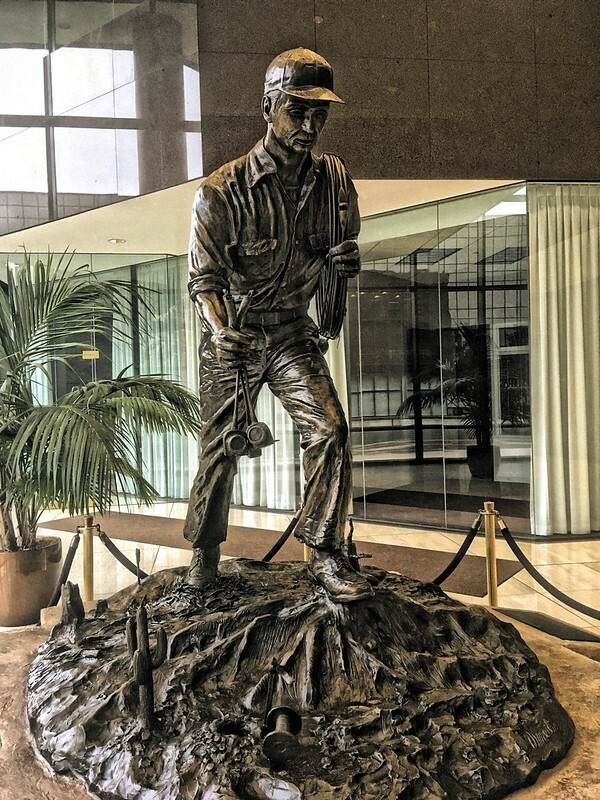 I found this sculpture in the lobby of a building here in Tulsa that housed the Society of Exploration Geophysicists. That’s it for D’s this week. I’m linking with ABC Wednesday. This entry was posted in Uncategorized and tagged Donkey, Doodlebuggers on January 29, 2019 by Alan Bates.